Many of us are you now in human form ~ Elohim, Galaxygirl. Many of us are you now in human form. Many of us are you now in human form. We see you and we acknowledge your sacrifice and great love for Gaia and for your fellow human beings. We wish for you to expand this feeling of kinship further towards your galactic family, who eager await their reunion with you in the skies. We wish to impart upon you the understanding that indeed we are all one. The same sentiment goes for all of your varied lifeforms – kingdoms – of Gaia. 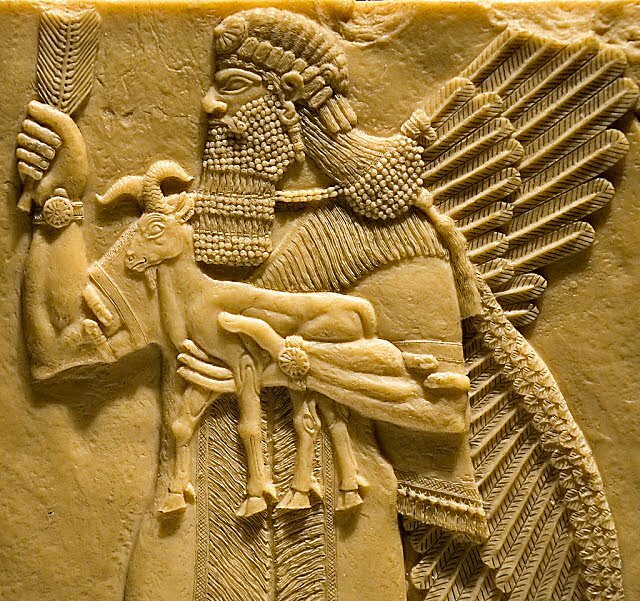 Gaia and her animals, plants… all have been greatly decimated / damaged by humans over the eons. It is time for her healing. It is time for your healing. We Elohim have not only watched this game but initially suggested it, and so we feel a heavy burden / responsibility for seeing it through to completion. For this glorious experiment was hijacked by the dark and we must lend our light – your light to those of you reading and typing these words – it is time for a massive ground team light / effort to pummel the darkness once and for all. The time of negotiations are over. One cannot negotiate with one who is devoid of love. There is no harmony in this solution. It is time for humanity to rise up as one, in blissful union with itself. The time of bigotry, bias, lack, is all over. It must be. Those are the old ways, the old systems. They are crumbling now, we Elohim see this with keen acuity. We are from the beginning, we are ancient. We are wise in the ways of creation of worlds, of space quadrants. We are many of you. We fractalize our forms into many such that we can create and experience much. Such it is as Source further differentiates out and out, further and further, ever expanding into yet more, more newness of thought, of creation, of light. We are Elohim. Know that nothing is too powerful against the light. Nothing is too lost that cannot be found. But it must want to be found by the light and if it refuses it is extinguished and recycled into yet more light, more understanding. You all have had many numerous roles throughout the ages. You have seeded worlds. You have created galaxies, participating in councils of design and creative thought / intention. You have seen much, experienced much, felt much pain and much love. And so you wanted to experience this as well, this rending of worlds, of matrixes collapsing, of new creation birthing in the physical. You have lived much, many times. And so you have died in a variety of gruesome and pleasant ways. All is experience. And you wanted to experience this unique ray of light, of rebirth within the physical, and be transformed by the light within and without, surrounding you in new encodements so that you can emerge anew. You wanted to feel this. And so we Elohim say to truly let yourself feel it. Feel the changes. Journal your pains, your aches, chart / log your lessons learned and hold them dear within your ever-growing heart space. For you are growing, you are expanding, you are morphing as the dragons say, you are molting. But you need not be afraid of this change. You need only embrace it. Embrace the new. For that is what you are. You are a new creation every day in Source should you breathe that thought into being. You are wise, more beautiful, stronger every day, should you claim it. And so we Elohim, creator of worlds, of realms, of thought forms becoming reality, we say claim it. And mold, sculpt Nova Gaia, with every intention to love, with every breath of joy, with every heartbeat of the new. And become the Nova Gaians that we already see that you are. Become your best, highest self in every interaction. Bless the dark with your light and in so doing dissolve it. Crash the matrix into the rubble (powder) that it is destined to become. And the rubble will become the new sandy beaches, the new beauty, for it will be completely utterly transformed. The RV is merely a tool of this change. Of course you will need tools. Hearts will be changed. The wave is most certainly coming, in many ways it is already here and you are experiencing it. For we are coming through loud and clear, yes? This is not how things used to be. The lid is off the jar, the veil is lifting and there is much to air out, to clean out, to scrub out. And you ground team are doing it most excellently. We congratulate ourselves as we congratulate you, for many of us ARE you in the physical, experiencing a planetary rebirth, a matrix-crushing event and it gladdens us to see this come to fruition. We are the Elohim. We are peppered within your stories of the Bible and other scriptures where we intervened on behalf of humankind and we do so now, again, just as we have over the eons. We are the Elohim. Know that all is not lost. All is being found, created, by your intentions. And so we charge you to meditate within this high energy space. Become the higher light. Invite it in and be so transformed by it. No religious or political belief is defended here. Christed light energies, holy fire of purification and renewal. Elthor and the Ascended Dragon Collective. 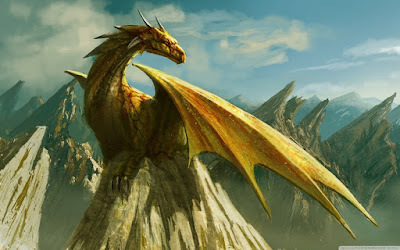 We are the Ascended Dragon Collective. We surround you in this time with our Christed light energies, our holy fire of purification and renewal. Bask in these energies of fire, of rebirth. For fire is how planets are born. Such it is now at this time in your surface world. We see, we hear, we know much about your current planetary inner workings. Much, much has changed, is changing, will change. You are the envisionaries, the way showers, the light-lifters and we bow our heads to you, saluting you with our dragon salute. Yes, it is this mutual bowing, of respect between species that must begin on your surface world. Mutual respect, mutual love, mutual regard. Source is in all things. All is energy of creation. Nothing is superior, perhaps just more advanced as we are all at different starting points from our original creation from the Mother’s breath. Crystal gleams, holds light codes. So too are you becoming, human. You are morphing. You are reaching. You are expanding. You are becoming more of what you already are but had forgotten for a while. It is time to remember. I am Elthor! I come to you on the winds of time space, through wormholes of parallel words and possible realities. Humanity is at a time of great flux. The light influx is staggeringly bright, beautiful. We dragons see, we know. We assist, we guide. We offer our support, strength, wisdom. Bow young human and receive your crown and polish your sword. For the battle is not over quite yet and we are in the throes of it. Yes, the recent eclipse energies were mighty – mightier than anticipated as far as how we see the human collective being affected by them. Mighty Earth shattering changes are underway now as I speak. We see you as instigators of this great change, partnering with the Mother and her kingdoms, with Gaia, your planetary mother whom we regard with high esteem. Mother Gaia who has birthed creation an after creation of lower experiences so the others who wished to experience would have a platform to do so. It has been very dark. It is about to get very light. This is what we see. Dazzlingly bright futures await. Loved ones of shall shapes and sizes are near. We welcome you home. I am Elthor! I have spoken! It is time to rise, human. It is time to rub your eyes, blink and see anew, to see that which you are in the folds of creating NOW. So create! Be the light! Wield your sword and shield as the darkness advances and is melted by your light in the process. You are stronger than you know, human. It is time to remember and to know in your bones that you are strong enough for this! This is why you came! To be the light the warrior of old that you ARE! (Roaring) And so jump on my back human and let us ride high and fast. Feel the wind against your skin and know that it is windy – very windy – in may parts of Gaia now for this reason! 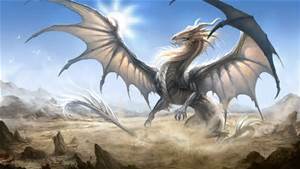 The dragons are soaring high and fast, clearing, cleansing, blasting away that which does not serve the Mother into smithereens. We welcome you to join us humans of the Mother. We welcome you back to the fold. We welcome you back to the tribe, to our tribe. Welcome to home. See? You are beginning to remember. That is good enough. Claim your power and claim your victory. To the light! I am Elthor. 23 de Janeiro de 2018. Eventos e transformações de mudança de vida foram iniciados pelos eclipses deste mês. Um novo sentido de equilíbrio está sendo formado, o que está nos alinhando totalmente com a nova estrutura energética da Terra. Estamos criando um novo mundo, um mundo que une todos os aspectos do nosso ser e nos permite sentir e experimentar verdadeiramente a vida a partir do centro de nossa alma. Quando você chega para alinhar e ativar o poder de sua alma nesta nova realidade, a habilidade de viver a partir de sua essência se torna cada vez mais necessária. Inicialmente, isso pode parecer bastante desorientador, pois uma incorporação e uma base mais profunda são necessárias para se estabelecer firmemente nessa nova realidade. Flexibilidade, adaptabilidade e realinhamento são importantes para manter a estabilidade. The Ebb and Flow ~ The Creator, Jennifer Farley. There are no hard and fast certainties in life. The energy of life itself ebbs, flows and changes just as you change. This will be a very important thing to keep in mind during the coming weeks and months. During this shifting time, you may find yourself judging others without realizing it. When it comes to your conscious awareness, send it to The Universe to be transformed to light and love. Your journey is simply unlike any other and, as travel your own path, allow others to do the same for themselves. Archangel Gabriel via Shanta Gabriel. We are drawing on the compassionate and timeless wisdom of The Gabriel Messagesto provide insight and inspiration that we can apply every day of our lives. This message from Archangel Gabriel helps us to be grateful for our choices and to see our lives in a more expansive way. Praise God and Praise Yourself for the Path You Have Chosen. I usually receive this card when I am questioning how my life is going. It is always a message that encourages me to step back from the immersion into what is happening in front of my physical eyes and take a more neutral view of my reality. Obviously it is easier to break into hallelujahs and exuberant praise when our lives are moving in ways that evoke our happy place. The challenge is to know that our life has power and merit when we are looking at appearances that may not please us. But that's when we start flexing our spiritual muscles — to balance our emotional states and to see beyond appearances to know that there is a blessing in every situation. It's not only a blessing, it's a call from our souls to notice that we have an opportunity to create something wonderful that really works much better for us. Sometimes it is only this one step back into neutrality that helps me to be more present to the Creative Solutions available to me. First I need to recognize that whatever I am experiencing is a part of the work I am here to do for my soul, and then I can use the situation as a stepping stone to higher-frequency living. When I make new choices from a higher perspective, from a place of multidimensionality, the path takes on a more enhanced aspect, with many more opportunities for the kind of creativity and expansion that I love. I have found that everything I love raises my vibrational frequency. That is really fun, because these empowered frequencies include really simple things like music, nature and beauty. All the things I love become qualities of consciousness that uplift and inspire me, thus changing my vibrations and making it possible for me to have more of what I want to experience in life. This very basic Law of Attraction principle is always valuable to remember. When we celebrate life in all its myriad forms, it honors the Presence that lives in and through us blessing our path. The uplifting of our thoughts and feelings to the ultimate truth of our existence is a substantial step forward to the recognition that our life is a true gift. We need to show up for our path in life with all the support and intention that we can muster, as well as all the resources we have within us. We have had many attitude adjustments and learned many new skills and spiritual tools in this life that we can apply to creation of the most beautiful world we can imagine. Our imagination helps keep us expanded and inspired so we can incorporate the support from the Angelic Dimensions and all the help we have around us. When we keep our intentions clear and our focus strong, we are walking as blended beings in a greater world that has yet to recognize this imperative. Our Souls know that this is what we are here to do, and our path is celebrated in the heavenly realms. We are being gifted with so much love at this time. This real and practical multidimensional support is a blessed gift that we are here to experience right now. When we honor the Infinite Intelligence that guides us and use the maturity and commitment to our spiritual path that hones our spirit, we are lifted into the enchanted realms of the higher dimensions. It is here that we can see the greater truths under the surface and join in an exalted co-creation of an empowered life. All of us exploring together, using our most Divine resources combined with our diligent human selves, this is the enchanted and empowered collaboration that can create Peace on Earth, Love in every heart, and allow Nature and all Life to thrive. I am calling forward my Soul Community in order to empower and share this special time on Earth. Together may we know that we hold the key to the Awakening within all humanity through our intentions and focus in life. Working together brings out the gifts and allows us to create more than we could by ourselves. Thank you for this beautiful path I have chosen. Help me to bring more of my most divine and authentic self forward to be a blessing for the world. May all beings know in their hearts the experience of true Freedom, Peace and Harmony on all levels. And so it is. Your path in life is decided upon before you take birth in human form. Your soul reviews the lessons necessary for highest growth, and then chooses those life experiences that will provide them. From a human perspective, this choice is often difficult to comprehend. Many outwardly horrendous lifetimes have powerful lessons and seem beyond human understanding. To truly understand the soul's growth, it is necessary to have an expanded perspective that sees an overall picture. When situations occur in life which seem very difficult to handle, a certain balance is provided in knowing that, on a soul level, a great learning experience is occurring and that you are given all you need to handle the situation, for the highest good of all concerned. This does not mean that your emotions do not exist, or that somehow you should not feel upset, because in human terms your experience is very real and your feelings valid. Within the power of your soul, however, there is a great gift in your situation. No matter how senseless a condition may appear to your human eyes, a greater truth is available. It can assist you to remember this and to pray to see it. It can also help to remember that you live in a benevolent universe where the grace of God is available at all times. From a human perspective, it is also often difficult to experience incredible joy and happiness. There are many in your world who say, "it's too good to be true, watch out when things get too good," etc. etc. The Angels say to you that you are a beloved child of God who deserves to be happy and to have incredible blessings in your life. If this is what you are experiencing right now, enjoy it. Live this blessed moment to the fullest. Never doubt that good things happen, and that joy and miracles are the natural state of being. 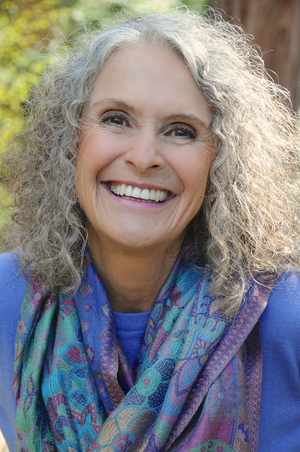 Shanta Gabriel is an author, teacher and healer,whose life is devoted to Bridging Heaven and Earth. She began her studies with an Indian Shaktipat master of the ancient Science of Sound in 1977. It is the inspired ancient practices she received at the ashram and has used in 40 years of training, that she offers to others in her programs. Her work with the Archangels began in 1988. She shares this work through alignment, immersion, and transmissions from the Archangels through her classes, membership groups and private sessions. Her mission is to facilitate and invite people into a direct experience of Infinite Intelligence and Divine Love. For more information about her classes as well as private sessions and products, visit ShantaGabriel.com.